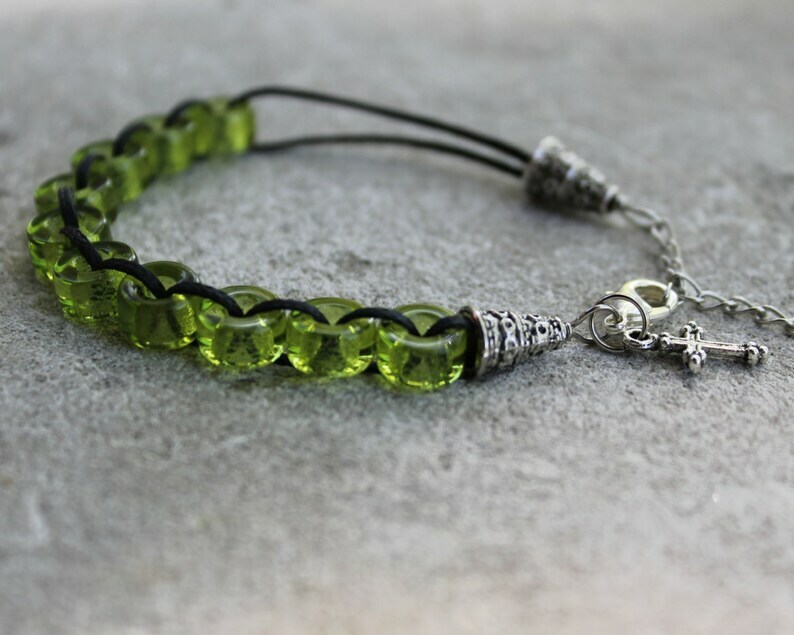 The beautiful spring green of these glass beads remind us to always keep ourselves awake and aware of the call in our heart to become the person we were created to be. We are not to envy the growth of others, but moment by moment we are asked to listen carefully to what WE are being asked to do. These are the lessons that help us develop our song. Don't stay still! No one else in the world was created to do the mission God gave to only YOU! Lovely bracelette. The cross charm is smaller than I anticipated, but it's just right! Comes with a sweet and professional card explaining the good deed beads. I'm already planning on ordering more as gifts.